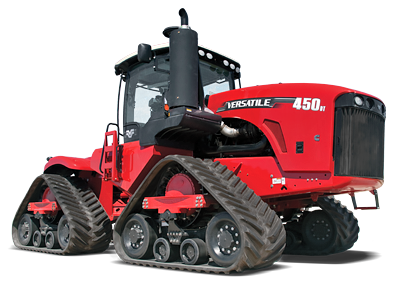 Versatile has the claim of being the first North American manufacturer to mass-produce and market articulated four-wheel drive tractors. 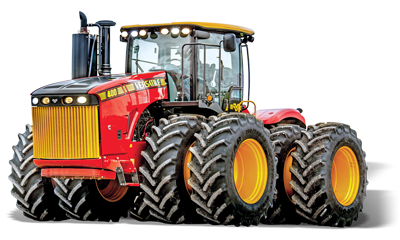 Since Versatile opened more than 40 years ago, the plant on Clarence Avenue in Winnipeg, Manitoba, Canada has built over 100,000 tractors. 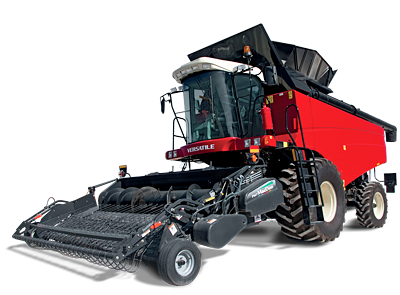 Currently, the plant builds fixed-frame front-wheel assist tractors from 265 to 365 horsepower and articulated four-wheel drives from 380 to 610 horsepower, designed on the cornerstones of reliability, durability, and ease of service and maintenance. 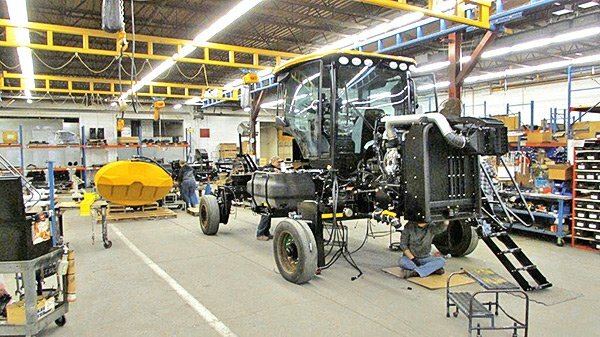 Versatile’s corporate headquarters is Winnipeg, Manitoba where a 700,000 square foot facility is home to the Tractor line and final assembly for the Combine line. Facilities in Vegreville, Alberta (140,000 square feet) and Willmar, Minnesota (135,000 square feet) manufacture the Precision Seeding and Tillage; and Self Propelled Sprayers, respectively. All locations feature product specific manufacturing, assembly, engineering, research/development and test site facilities. Versatile was the first company to mass-produce articulated four-wheel drive tractors, starting in 1966 with the D100 and G100. Those groundbreaking tractors were primitive by modern standards, with a 6-cylinder diesel or 8-cylinder gas engine producing 100 horsepower. 1966 models sold for less than $10,000. Sold to Cornat Industries Inc.
Sold to Buhler Industries Inc.
Sold to Combine Factory Rostselmash Ltd. The strategy to offer a full line of Versatile-branded products started with the acquisition of a self-propelled sprayer line. The factory in Willmar, Minnesota, had been in operation since the 1960's and had produced sprayers and fertilizer equipment for such brands as Willmar, Spra-Coupe, and Redball. The simplicity and design of the Redball self-propelled sprayer was a natural fit with the Versatile product line. The 130,000 sq. ft. (12,077 sq. 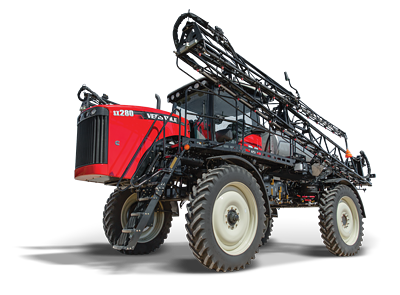 m) Willmar, MN, USA facility, purchased by Versatile in 2010, produces the self-propelled sprayer product line. This huge facility has a long and diverse history of application equipment production dating back to 1964. Within the facility product is conceived, engineered and fully fabricated and painted for the efficiency of a mixed model assembly line production. A range of Farm King branded products are also fully produced in this same corporate owned facility. All products are then delivered to many destinations of North America and also exported as RO/RO or containerized to several countries. Versatile enters the Precision Seeding & Tillage market after acquiring Ezee-On Manufacturing of Vegreville, Alberta, with a 20-year history in air drill and air cart manufacturing and more than four decades in the tillage industry. 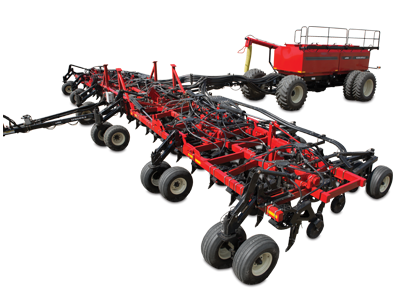 New independent shank air drills featuring mechanical shank linkage and ALIVE technology were introduced in 2013 and the new Viking vertical tillage tool was introduced in 2016. The 490 hp Class VIII RT490 was designed to be rugged, reliable and simple to maintain service. At the core of the Versatile RT490 is the revolutionary Rotating Concave Rotary System (RCR360). A 360 concave wraps around a large rotor and counter-rotates. Three separate "pinch points" are created during each rotor revolution allowing the grain to be threshed three times in each rotation. The debut of the Versatile DeltaTrack. Featuring leading-edge Camso track technology and designed as a purpose-built track machine, the DeltaTrack was an immediate success, solidifying Versatile's place in the track machine market. The DeltaTrack name is derived from the Greek "Delta", meaning four, represented by a triangle, the strongest geometrical shape in nature.